As the 1989 NFL draft began, there were many reasons for Rodney Peete to begin that Sunday with high expectations. Peete had just won the Johnny Unitas Golden Arm Award as the nation’s outstanding senior quarterback, capping a season in which he was named a first team All-American (UCLA’s Troy Aikman won the Davey O’Brien Award that same season, also singling out the top collegiate quarterback). And Peete was a known winner, the 1988 Heisman Trophy runner-up who finished behind Barry Sanders (and ahead of Aikman, whom he had beaten in both head-to-head contests between USC and UCLA). It was Aikman who was drafted by the Dallas Cowboys with the top overall pick of 1989, and Peete was OK with that. What didn’t sit well with him were the names of the quarterbacks who followed. Peete never heard his name called during that first day, enduring five rounds of torment. It was in the early morning on the second day when the Detroit Lions drafted him in the sixth round (the 141st overall pick), ending the torment. 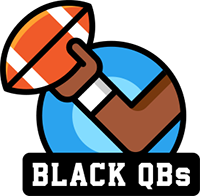 Here’s the question everyone wanted to know: In an era when NFL teams — despite the presence of Doug Williams, Warren Moon and Randall Cunningham — were still warming to black quarterbacks assuming leadership roles, was race a factor? Outside of Aikman, who had a Hall of Fame career and won three Super Bowls with the Dallas Cowboys, the NFL got it wrong with the quarterback selections of the 1989 draft. Elkins played one NFL game. Tolliver’s career began with him breaking his collarbone in camp, and he wound up as a career reserve, starting just 47 games over 12 seasons. Dilweg (played in 10 NFL games), Wilhelm (one career start), Carlson (three career starts), Francis (played in one game) and Graham (never played a game) all had careers that are easily forgotten. While Peete’s NFL career never lived up to his accomplishments at USC, what he did in his 16 seasons surpassed what the seven quarterbacks not named Aikman who were selected before him did in their professional careers combined. Playing on six NFL teams, Peete started more than half of his teams’ games during seven of his 15 seasons. He completed 1,344 of his 2,346 passes for 16,338 yards, throwing for 76 touchdowns (against 92 interceptions). Peete was 37 when he was named the starting quarterback for the Carolina Panthers on the opening day of the 2003 season, after starting 14 games the previous season. But he was replaced in the first half of that game by Jake Delhomme, who eventually led the Panthers to the Super Bowl (where they lost to the New England Patriots). He played as a reserve for another season before retiring in 2004, culminating a career that spanned three decades. Peete’s career in the NFL: long, but never great. Could his professional career have been different had Peete chosen to play baseball? Before he accepted a scholarship to play football at USC, Peete was coveted by major league baseball. The Toronto Blue Jays selected him in the 30th round of the 1984 draft after his senior season at Shawnee Mission South High School in Kansas (he was a three-sport athlete at Sahuaro High School in Tucson, Arizona, before that). He narrowed his list of college choices to schools that would allow him to play both sports. Peete was an All-Pac-10 third baseman for the Trojans. In his best college baseball season, 1988, he hit .338 with 12 home runs and 46 RBIs. He was considered such a top-notch prospect that he was drafted by major league teams three times while he was at USC: a 14th-round pick by Oakland in 1988, a 13th-round pick by Oakland in 1989 and a 28th-round pick by Detroit in 1990. While Peete excelled at both sports, football was his love. His dad, Willie Peete, was a longtime NFL assistant coach, while his brother, Skip, is the running backs coach for the Los Angeles Rams. USC gave Peete an opportunity to play as a black quarterback in college. It wasn’t a risky move for USC, which had had success turning over the team’s offense to several black quarterbacks, including Vince Evans. While he played football for 15 years, Peete might have been better known as the husband of actress Holly Robinson Peete. The two have been married for 22 years and since last year have starred in the reality series For Peete’s Sake, which airs on the Oprah Winfrey Network and showcases their family, including a son with autism. An episode from earlier this year revealed that Peete had lesions on his brain, a possible indicator for chronic traumatic encephalopathy (CTE). Peete’s a natural for television. After his football career ended, Peete joined The Best Damn Sports Show Period, sharing hosting duties with John Salley and Rob Dibble on the show that aired on Fox Sports. Peete, a member of the Arizona Sports Hall of Fame and the USC Hall of Fame, can be heard these days hosting an afternoon sports radio show in Los Angeles. In the world of sports, he’s a highly recognizable name. That can’t be said for Elkins, Tolliver and the five other quarterbacks drafted between Aikman and Peete in the 1989 NFL draft. The Undefeated will profile 30 black quarterbacks leading up to the 2018 Super Bowl, which marks 30 years since Doug Williams became the first black quarterback to win the big game.